For a long time, console tables have primarily served as the anchor for the hallways, living room, and entryways. But over the past few years, these tables have found their way into other parts of the home, including the bedrooms as well. Since master bedrooms are larger and provide more space to be flexibly creative, you can make a unique style statement by purchasing console table with mirror set. You can use a console take with mirror set as vanity in your bedroom. Console tables are perfect when it comes to adding a table to the room. These tables are typically thin and long and are manufactured to fit against a wall or even mount on a wall as a shelf. This is one of the reasonsconsole tables can be excellent for your master bedroom. 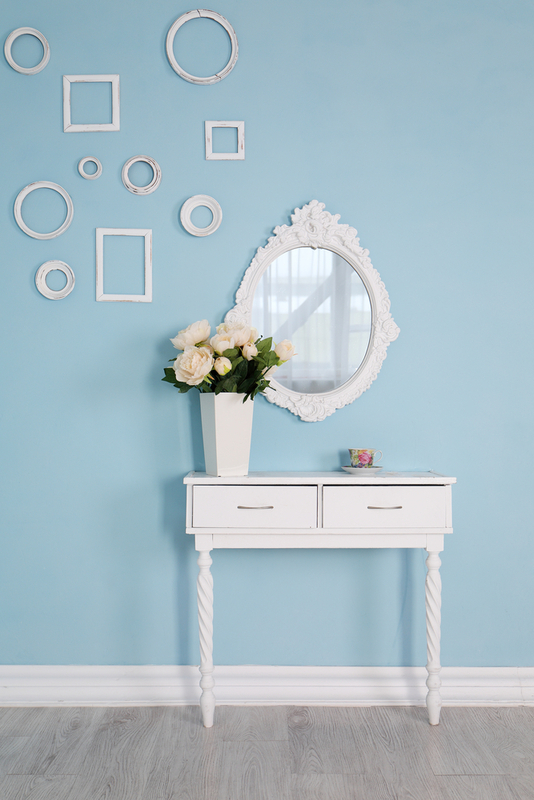 You can hang console table with mirror set against any wall without taking a lot of space in the room. Console table with mirror set has more benefits for those wanting more functionality in their master bedroom. For instance, console table with mirror set usually has one or more drawers in it. This will give you additional storage space to store your precious jewelry or make up. This table typically has plenty of space in the formof a tabletop and can provide double space for your makeup in the morning. You can store combs and brushes in the drawers of this table to keep the tabletop tidy.